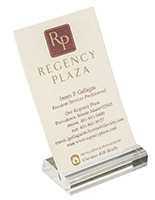 These literature and business card holders are made to display both 8.5” wide literature and smaller cards. 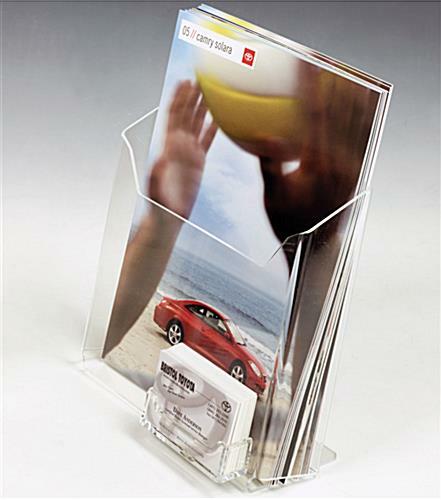 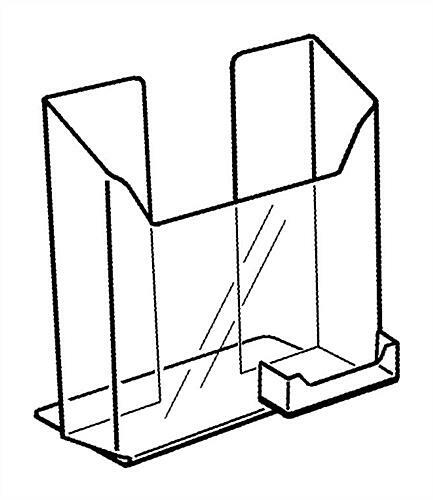 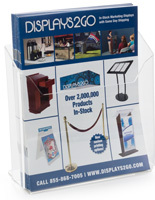 The acrylic desktop stand is able to present complete views of items because of its clear materials. 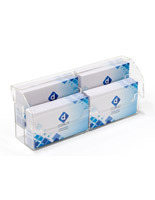 The business card holders are a great way to offer information on services and also provide customers with contact information for yourself or a supervisor. 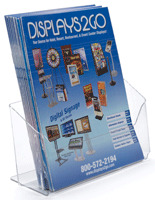 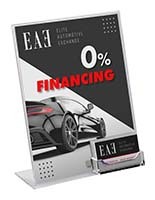 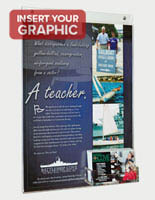 The acrylic displays have a steadying lip that keeps the entire structure stable. 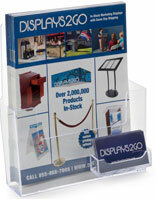 The holders are perfect for placement in waiting rooms, office lobbies, or banking transaction areas. 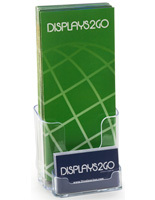 The desktop leaflet and card pocket allows customers to see that there is always a way to reach your company.